The Marco Island Marriott is a great venue to have a wedding at. There are so many locations inside for great photography. For example, here inside the bar area we placed the couple in front of this fish tank. We balanced the ambient lighting with some focused side lighting for impact. 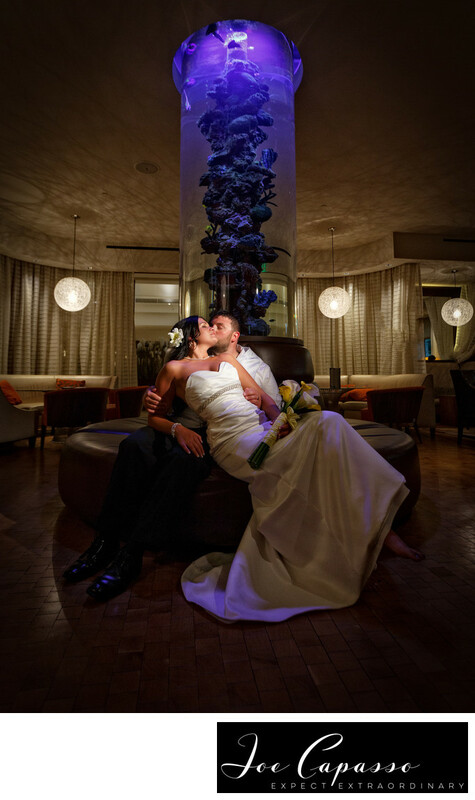 A Marco Island Marriott wedding photographer can create stunning imagery with some creative effort. Keywords: marco island marriott (12), marco island marriott wedding (6), marco island wedding photographer (12), naples wedding photographer (45). 1/100; f/4.0; ISO 1000; 19.0 mm.